As part of the project, we have the great opportunity to meet different actors of Barbary Macaques conservation. That is how we got in touch with Els Van Lavieren, from the Moroccan Primate Conservation. The MPC has worked for the protection of this species in the Middle Atlas and around Ouzoud waterfalls since 2003, mainly on the illegal trade and the wild population densities. The association is also the initiator and the coordinator of the Barbary macaque National Conservation Action Plan (PANSM), which is just about to be printed. In May, Els was actually in Azrou to start an educational program in several primary schools of the area and I had the chance to attend one of them. It is indeed surprising to realize that most of the time people living close to Barbary Macaques have a lot of wrong ideas about them. Thus, before the lesson, many children thought that young macaques were captured from the wild for circuses, or to reduce the damages they cause to the forest! Luckily, Els was here to help them understand the pet trade situation. 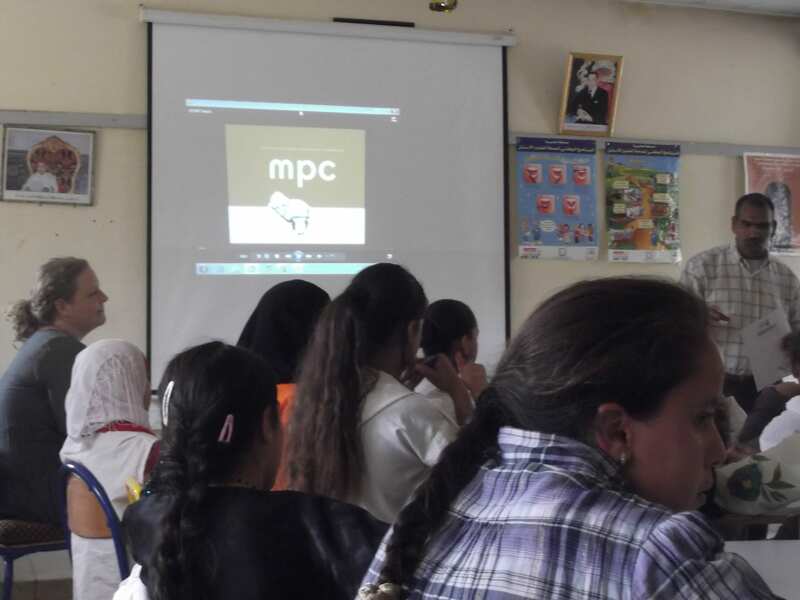 The three-hour lesson started with an educational film to give them general knowledge about Barbary macaque biology and a few numbers about their conservation status. After this first animation, the children were divided into different groups to play a game where they impersonate a macaque infant who has lost his group. They had to avoid the poachers and earn cards such as “water”, “food” or “healthy environment” to win the game. At the end, Els proposed a discussion with the class to test their new knowledge. I was glad to see that the children were very enthusiastic about the lesson. They all listened carefully and participated throughout the event. It seems to me that the education program of the MPC was a real success, which gives me hope for the future of Barbary Macaques in Morocco. Thank you very much Els for letting me be a part of you great work. We are all waiting for you here in Azrou to hear about your latest progress. Good luck! If you want more information about MPC actions, have a look at the website: http://www.mpcfoundation.nl.